Collaborative divorce differs from traditional mediation in that a couple that has decided to separate both agree not to use a mediator and not to go to court. Instead, both parties take part in what is known as “four-way” meetings, where both have lawyers present to help make sure each person’s specific needs are met for a settlement. This is especially important if the couple has children. Lawyers are present solely for the purpose of providing legal counsel, and the collaborative process is entirely voluntary. It begins when both people sign a contract known as a “participation agreement.” This agreement is legally binding, and carries the stipulation that the attorneys will not represent either party should the case end up going to court after all. This takes a great deal of pressure off of both people seeking separation, and can be an advantageous situation for a dad. Dads don’t have to lose everything in a divorce. If each person agrees to proceed amicably, there is a much better chance for a dad to negotiate a sensible alimony amount, and a custody agreement that allows him to still play a significant role in his kids’ lives and to have a say in their upbringing. This can be achieved without the overhanging threat of litigation, but in order for the process to go as smoothly as possible, it’s a good idea to have the support of family law attorneys who specialize in helping men during a divorce and in the aftermath as well. At Gerkin & Decker, we understand that getting a divorce is not an easy decision to make, but we know that it’s possible for many couples to separate on good terms, allowing for the best possible outcome for the spouses and their children. 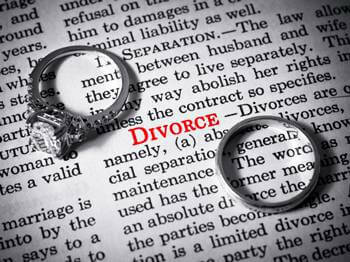 We have helped thousands of men negotiate better divorce settlements, and we can help you, too. Contact us today to schedule a free consultation!